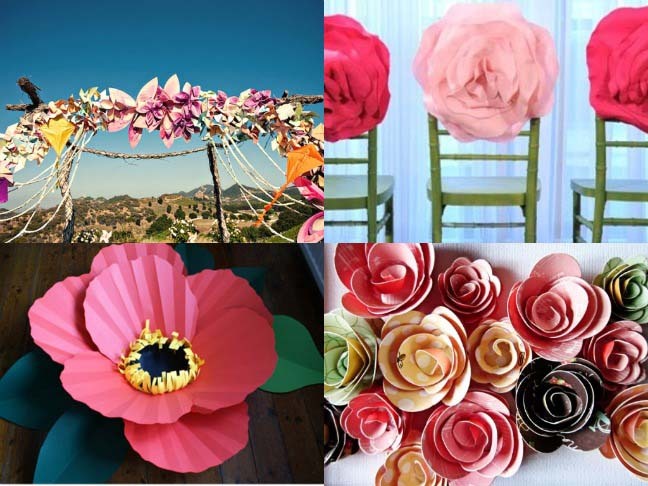 Giant paper flowers from Brittany – she used these at her wedding! Paper roses from Creative Jewish Mom – These are so simple, your kids could even join in the fun and help you create them. And don’t you think that they would be more memorable than fresh flowers anyway?